M/W 5:15p - 6:15p -> Children Beg/Nov. Fri 4:30p - 5:15p -> Children Beg/Nov. T/Th 5:15p - 6:15p -> Children Int./Adv. *Last Friday of the Month - 5pm-6pm Combined Children's class. 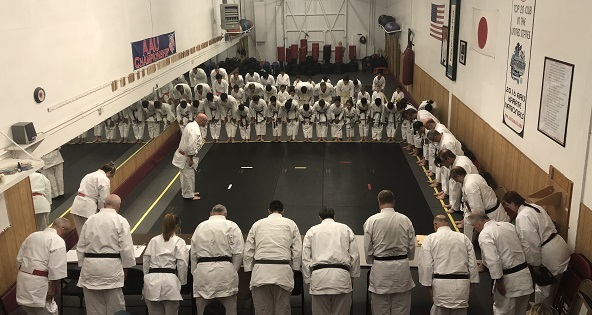 The Japan Karate-Do Federation has one of the most impressive backgrounds of Martial Arts Organizations in the United States, as well as around the world teaching traditional Japanese Shotokan Karate. Voted twice by the readers of the Orange County Register "Best Martial Arts in Orange County", you are assured if you're looking to start Martial Arts, find updates on JKF Dojo events, or just looking to learn more about Karate-Do, you're at the right site. Be better than you were before! Effective today, June 2nd 2014, Evening Classes meet @6:45-7:45 pm! Japan has a long history of importing, synthesizing and recreating aspects of other cultures, a practice that continues to this day. The primary source of such cultural borrowing in Japan’s early history was China, whose civilization existed for centuries at a high level hardly seen in other parts of Asia.